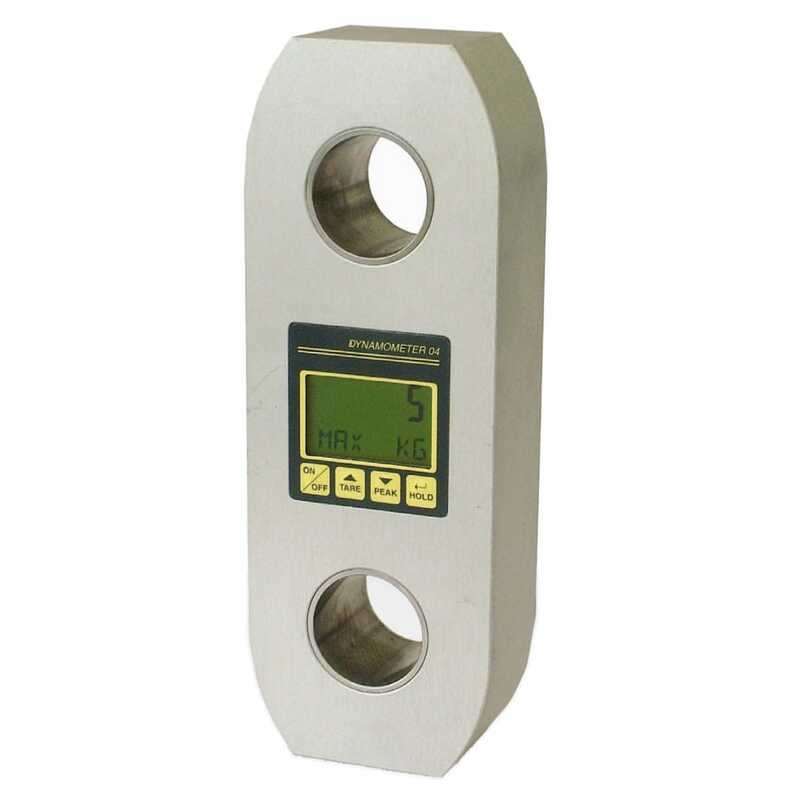 The Dynamometer DIN 04 TX is an electronic force gauge from NBC Elettronica Group that is engineered for the measurement of traction static forces and static loads with radio transmission to the hand receiver instrument. This device is comprised of aluminum traction load cell. It contains a 5-digit LDC display that shows its characters at a height of 1.7 m. This electronic gauge has several functions that include digital zero and weight settings, digital filter selection, automatic power-off selection, peak function and Hold function and measuring units selection.